In addition to the above, banks have external auditors, internal auditors, internal credit review, external credit review, compliance departments, and a host of other officer and board committees. The list of policies and procedures are staggering and are always being reviewed and updated to keep up with the current regulatory changes. Selecting the right expert is important, but also optimizing their use is just as important. Following are areas that should be considered and explored. I will not elaborate on each item, as there are numerous articles written with great detail, but I highlight the areas I feel can be optimized. Focus on the background of the expert. Banking includes many specialized areas, including but not limited to, lending in the following areas; commercial credit, consumer credit, agricultural credit, mortgage lending, manufactured housing, factoring, construction lending, dealer financing, recreational vehicle financing, land development, participations, credit cards, and merchant credit. On the operational side of the bank they include but are not limited to the following areas; teller transactions, checking and savings products, ATM transactions, wire transfers, ACH transactions, processing of checks and deposits, and safe deposit boxes, just to name a few. Over the last several years numerous transactions have gone paperless. Many of the regional and larger financial institutions have special departments that only handle specific types of transactions. When I has hired by Crocker Bank back in the mid 70's as an officer trainee, we spent a year in training going through all departments of the bank before we were ever allowed to handle customers without supervision. Most of the larger financial institutions had similar training programs. What you see today is much different. Many bank employees only have training in their department and are unaware of what goes on in other areas of the bank. Make sure the expert that is engaged has the background and experience for the specific areas that your case involves. Just because he/she was a banker, doesn't mean they have the expertise your case requires. There are a number of reasons why it is important to get an expert involved early in the case. As indicated above, there are numerous regulations, policies, and procedures that are required in banking. It happens far too often that I receive a call and the attorney says, "I have to designate an expert by a certain date" which is only a couple of weeks away or less. As we get into the discussion and I start asking about discovery and specific documents, we find that discovery did not cover all of the documents needed to evaluate the case and the deadline has passed to request the additional information. This is most prevalent when I represent clients against banks. I can understand the attorneys reasoning for waiting as long as possible to retain an expert, hoping the case will settle and save the cost of an expert, but if the case doesn't settle, is it worth it? A good expert can tell you exactly where to look and what to ask for. Early involvement can help attorneys considerably in formulation of a complaint, discovery, counterclaim, or response to interrogatories. In cases I have been involved in, attorneys have amended their complaint to address items that were found, that otherwise would have gone unnoticed. This involves the reconstruction of what happened in the case after reviewing the documents. This is a tedious and time consuming process. In many lending cases, five to ten thousand documents are provided for review, spanning a five to ten year period, including many new loans, paid off loans, renewals, extensions, and modifications. This review, along with the depositions of the individuals involved, usually exposes the crux of the problem and why there is a law suit. Once an expert has gone through and reviewed these documents, they should have a feel for the culture of the bank; and personality, knowledge, and experience of the officers involved. This is a very critical area, especially in lending cases. The purpose of the loan, the documentation of the loan, and the actual performance of the loan are usually perceived differently by the parties involved. After the expert has had a chance to review the documents and reconstruct what happened there are three distinct questions the retained attorney should ask their expert. 1) The most obvious is, what did you find that was done wrong? 2) What wasn't found in the documents that should have been there? 3) What gives you concern (heart-burn) about the case after reviewing the documents? Question number 2 is important because with the entire bank regulatory requirements, if the bank didn't perform certain tasks as required by regulation, these items will not show up in discovery. Question number 3 is important because it gives you a heads up as to potential problem areas with the case. It shouldn't matter who the expert represents, their opinions are determined by the facts of the case. If the expert discovers items that are detrimental to the client they represent, it is better to be aware of those in advance, and not be embarrassed or surprised at trial. If opposing council has done a good job in hiring their expert, assume the detrimental and questionable information will be discovered. Explaining or Clarifying Industry Financial Terms such as; nonaccrual, impaired, classified, criticized, account grading, set-off, out-of-trust, or other such terms that may be confusing to a non-financially individual or jury. In conclusion, optimizing the use of an expert is extremely beneficial to the outcome of a case. It can also benefit a case early on during settlement negotiations, especially if the attorney has identified weak and strong areas of the case. If it is determined early in the case that an expert will be needed, there is no reason not to optimize his/her use. 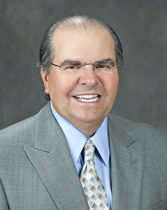 Michael F. Richards, is a Banking Expert Witness and Consultant with more than 34 years of experience. His experience as a Founder, President, and Director of two De-Novo banks and the head of a work-out department for a regional bank give clients and attorneys a crucial behind-the-scene understanding of all aspects of banking.